All of us know that vegetables and fruits are packed with tons of essential nutrients. What we don’t know is that in some fruits and vegetables the maximum nutrients are in the skin and in ignorance we peel them off before you consume them. Most of us peel our potatoes. But the fact is that the peel is a source of lot nutrients such as vitamin B and other minerals. So if you are planning to cook your potatoes simply scrub it as a whole using a soft bristled brush and cook as usual. All the anti-oxidants of this vegetable are present on or directly under the skin. 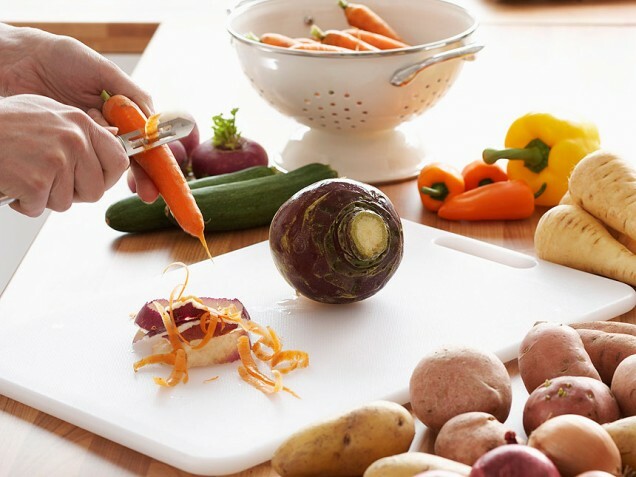 Unless the vegetable is so dirty, there is no reason to peel it. Simply clean thoroughly and eat directly. 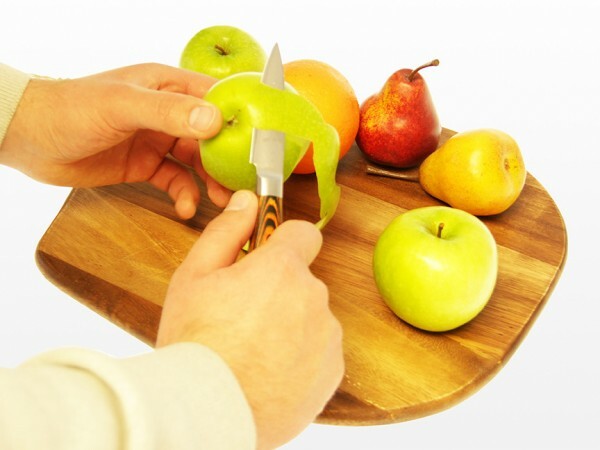 The skin of an apple is full of fiber so avoid peeling an apple before you eat it. Apple skin is also rich in vitamin C, triterpenoids and other vitamins that aid in digestion, even fight cancer and ward off other diseases. Parsnips like their sister vegetable carrots have a lot of their nutrients in and under the skin. So skip the peeling and cook directly. This holiday favorite has its peel full of Vitamin C and potassium. So the next time you’re planning a feast, roast them with the skin on to get the complete health benefits of eating it. I really don’t understand why people peel the skin of cucumber, especially when it tastes so nice. The peel of the cucumber is loaded with fiber and antioxidants. So for a healthy you eat the skin as well. The skin of the eggplant is a rich source of nasunin that promotes anti-aging and even fights cell damage. Now that you know the benefits of keeping the skin on of some of these fruits and vegetables boil, bake or roast them with the skin so that you can maximize the benefits received from each of these fruits and vegetables.